with nutrient management on the already established 80’ by 150’ bunk silo storage that has a concrete floor and earthen side walls to improve water filtration of those nutrients from entering head waters of Black Brook. 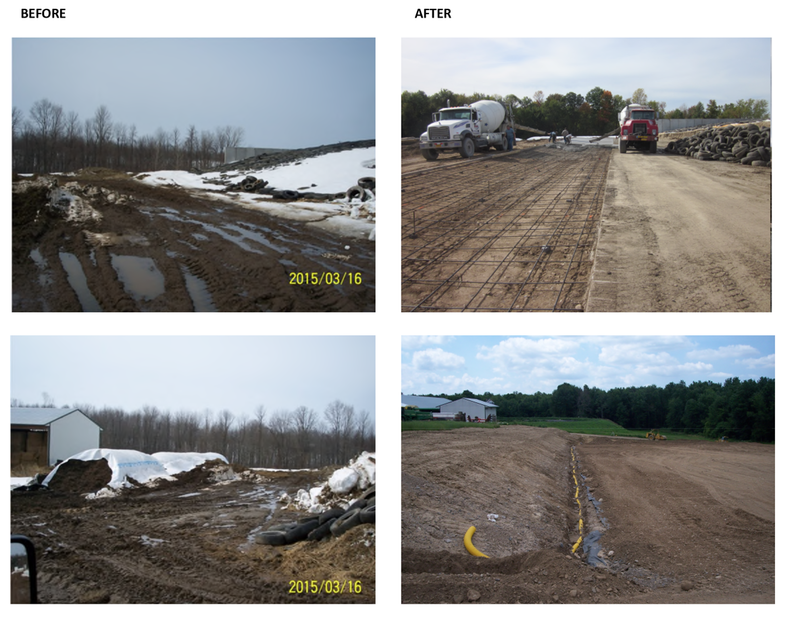 A collection area, low flow separator, waste transfer, vegetative treatment area, and a diversion were installed. This system is reducing the effluent and runoff produced from silage from entering either ground water or surface water body. 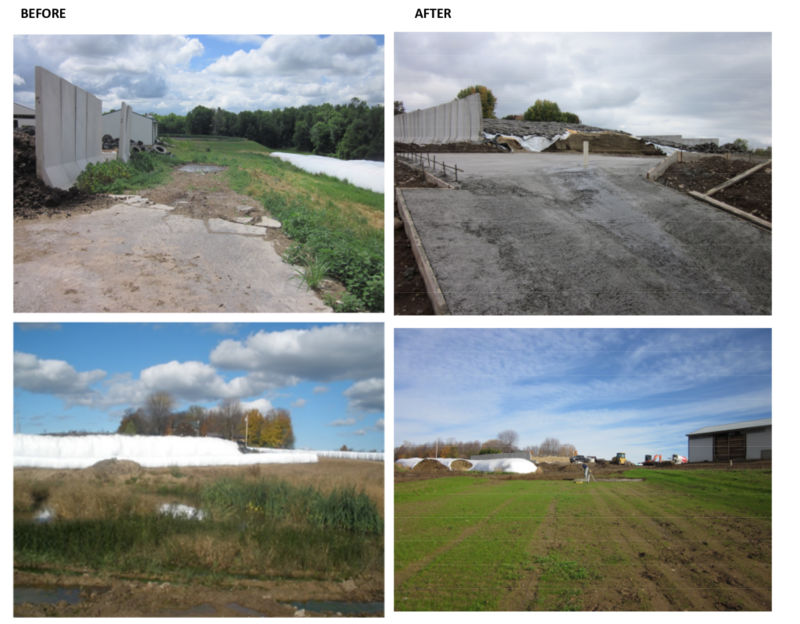 The second Silage Leachate Control and Treatment System in the contract is looking to create a gravel based heavy use area for Ag Bags covering about a half acre, an access road, and a filter strip would be part of the system to reduce erosion and nutrients loading. The Composting System-Animal would be established to allow for the proper composting of animal carcasses while protecting surface groundwater and helping elevate the cost of a rendering service.